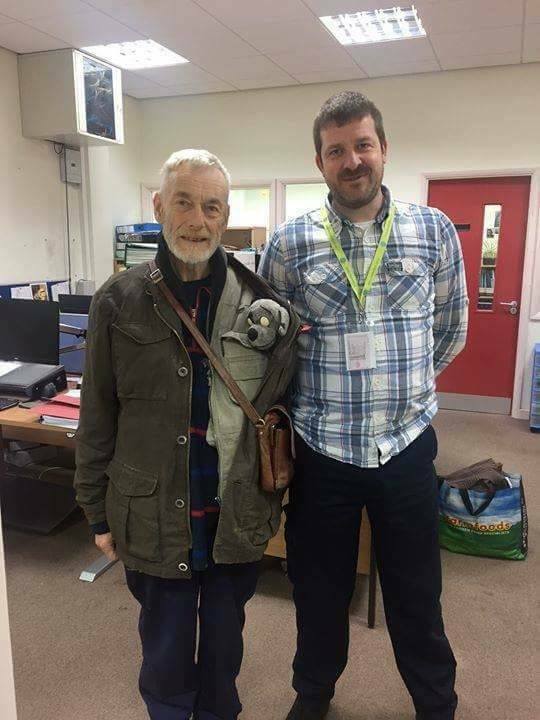 “Our Homeless Outreach Worker – Paul Sansome, has let us know that Richard Peace (Bob) sadly passed away on 14 August 2017. 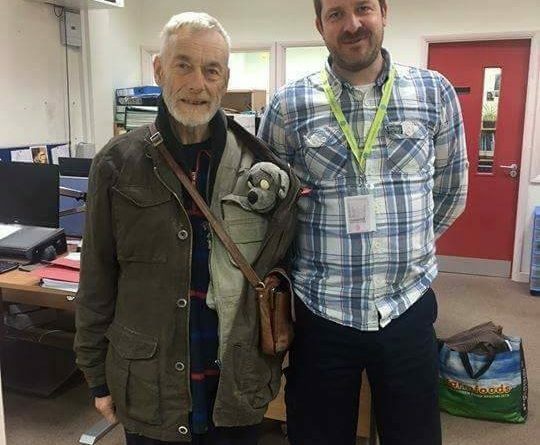 Bob was well known in Wellington and Newport and was supported by Paul to find housing last year. I first noticed Bob when he was living in a bus shelter at the top of Haygate Road. Proper living there. He had a small trolley and a hi-viz anorak to keep the cold out. Sometimes he would walk down to Wellington Centre and folks would buy him food and he was usually very polite & would chat. He didn’t just hang around in the centre either. As he made his way around Telford & Newport folks on Twitter would let everyone know where he was and a dinner would get taken to him, flasks of tea in the winter and people were looking out for him. I last saw Bob in Wellington Centre. Shouting at random things. I wondered if he was having a bad time then Stay, the Outreach folks in Telford helped him get a house and start to get his life in order. It was like a happy ending to a story that the likes of which don’t often have happy endings. It was sad news this afternoon when I learned Bob had passed on. Even more sad that he’s not likely to get any family at his funeral on Monday 4th. If you got nothing on, well, you know what to do. Did ever meet Bob? Leave your story below. RIP Bob. A Gentleman to the end. Rest In Peace Bob. Said Hello n Gave him a smile when I saw him in Wellington a few times. Well Done Stay for helping Bob out. Who’s taken in the dog? Met Bob and chatted by Bowring. Looked all over for him one evening after that. Lovely chap. Saw him in Subway at the BP soon after and discretely bought his meal. Then left a fiver there on a few occasions ready for him. But he soon moved on. He seemed happy with his lot. Shame . Rest up Bob. I dealt with Bob many times over the last 12 months, around the Wellington area and particularly the Town. Most times, he was happy to have a conversation and pass the time-of-day. No more cold wet winters in bus shelters for him now. Paul is fantastic thank you for all you did to make Paul’s life better. Sad news. A lot of Newport people got to know him and were kind to him. He was a gentle man who never asked for anything. . RIP our Bob! I met Bob in Bridgnorth in Lowtown I had seen him during the day and thought that he looked Lost or a bit out of place so on the way home I stopped to give him my Tea money and we got talking and he told me about how he used to work on the Trains and how much he loved it I could see his eyes light up talking about the job he used to do. He said to me its a good thing there are a few of you around and I said “What do you mean?” he replied Guardian Angels. The next day my wife said to me what was that mans name you were talking to yesterday I said Richard or Bob then she showed me the missing thing on the net so we called the Police. I would have gone to Bob’s funeral I found out at the last minute and could not get off work I wonder if I did the right thing did it make a difference?